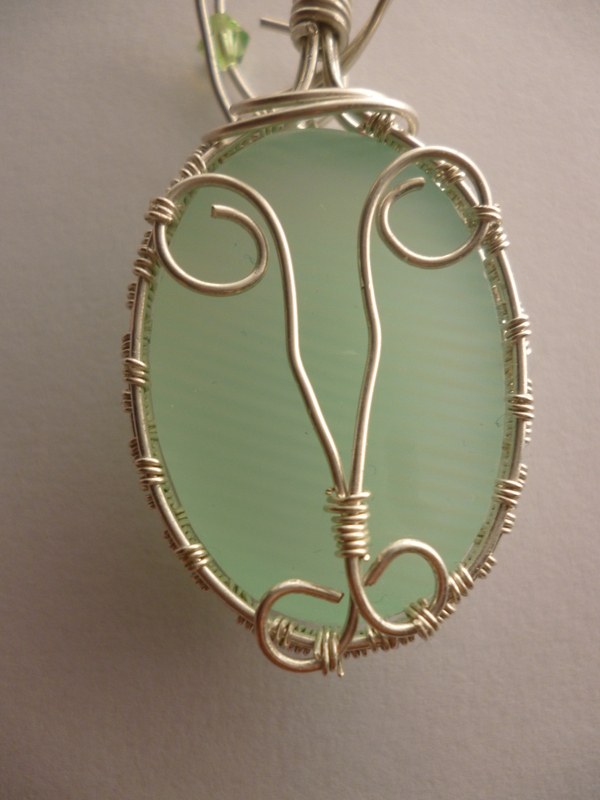 I made a pendant with serpentine previously – see here! By the way, I got this cabochon as a gift, so I determined that it could be serpentine. If someone could tell me otherwise, that would be great! This pendant is named for the still waters you see in lakes that are tinted green with the colour of the surrounding forest. Sometimes the ocean can have the same colour. 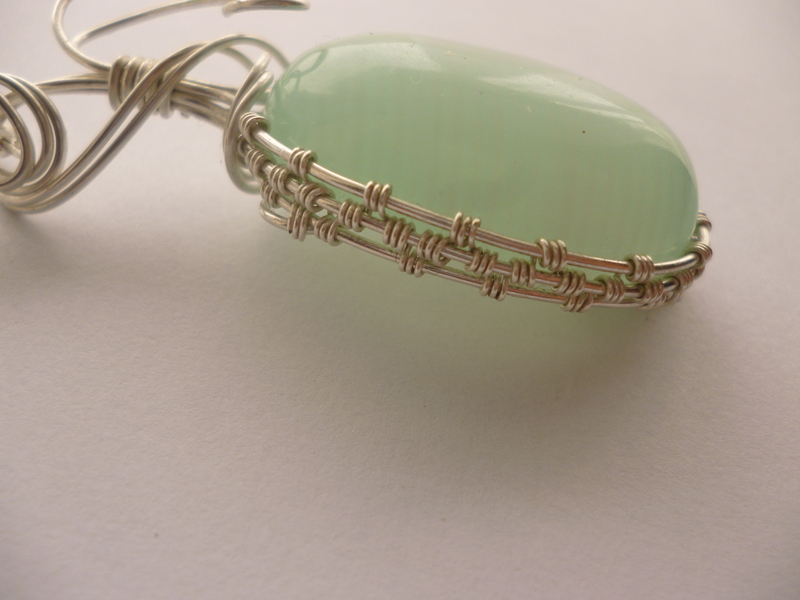 For the first time, I used a wire weave to hold the stone in place, since the stone is a round stone with a flat back. Not the neatest weave, I know! Since the stone was round, I couldn’t hold it in place properly, so I affixed some wires at the back to provide some support. I tried to add a sort of butterfly idea, but it squished together a bit much. And lastly, I asked some people for advice on my first wire wrap, and I got a suggestion to tuck the wires on the front more closely whilst keeping the loop in place. This is so it doesn’t snag as much and ruin everything. I do like the new version anyway, and I do tend to go overboard with design over practicality, so I appreciate the advice! 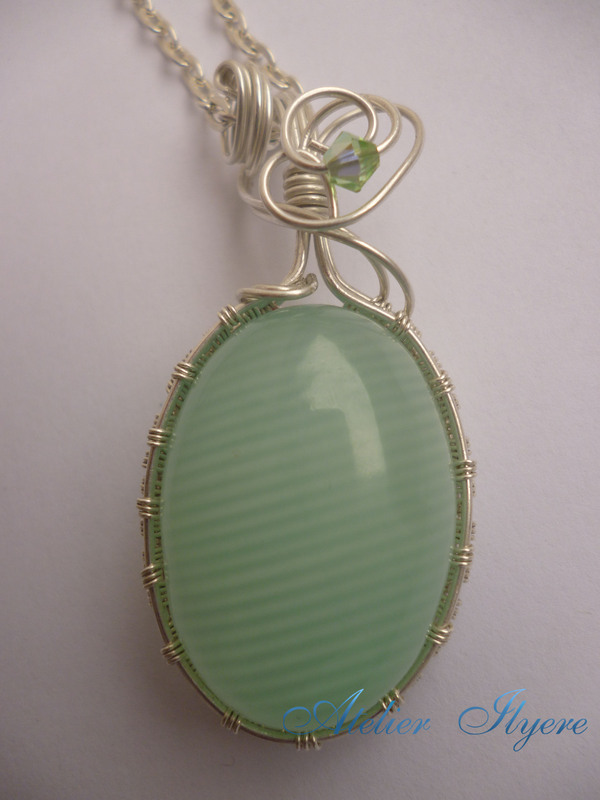 This entry was posted in Gemstones, Jewellery, Pendants, Swarovski, Wire and tagged Gemstone, Green, Jewellery, Pendant, Serpentine, Silver, Sterling silver, Wire, Wire wrap. Bookmark the permalink.